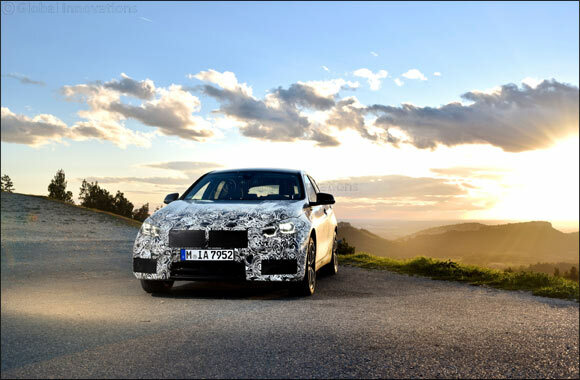 Dubai, UAE, March 31, 2019: Camouflaged pre-series vehicles of the third-generation BMW 1 Series are currently still undergoing extensive test drives at the BMW proving ground in Miramas, Southern France. The facility’s diverse handling tracks offer the optimal conditions for refining agility and dynamics of the new BMW 1 Series. This was preceded by five years of intensive development work and the change to the modern BMW front-wheel drive architecture.